At our independent music store we sell new and used CDs, DVDs, vinyl (LPs), Blu-Rays, video games and DJ equipment. As the largest music store in the greater Baltimore area, we have a huge selection of cheap used goods as well as the latest new media releases. If we don't have something in-store that you've been searching for, our dedicated staff will help you locate and special order the item(s) quickly and easily. 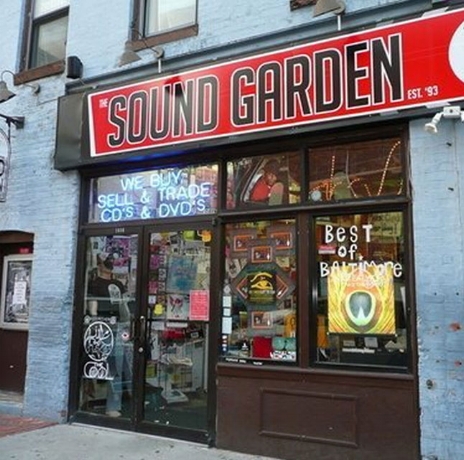 The Sound Garden in Baltimore (and our Syracuse location too!) buys new and used CDs, DVDs,,Vinyl, Blu-Rays and video games. We offer competitive prices for your items; check out our Selling CDs Guidelines to see what kind of cash you can make on your merchandise.. Please call to make appointment for Vinyl Sales. 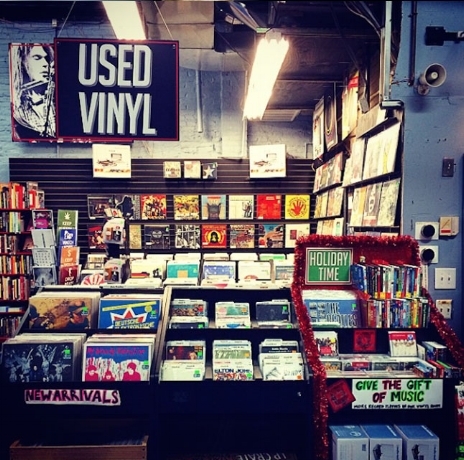 The Sound Garden is known for it's spontaneous in-store events, previous artists include: All Time Low, Major Lazer, Clipse, Robin Thicke, Tom Morello, Korn, Common, EPMD, Fishbone, Motorhead, Sugarcult, Aloe Blacc, Beach House, Flogging Molly, Ludacris, Lyfe Jennings, Ben Lee, Raheem Devaughn, Rise Against, G Love, Goo Goo Dolls, Lamb Of God, Powerman 5000, Rise Against, Talib Kweli, Valiant Thorr, Red Jumpsuit Apparatus, Kiefer Sutherland and more.